Many veterinary practice owners or potential owners need to know the value of a practice. When considering buying or selling a practice, it is not always necessary to have a costly third party arbitrator to advise the interested parties of the value of a veterinary practice. The MPV Self-Evaluation Practice Appraisal provides an independent system based on standard valuation principles, that allows you to easily and effectively assess the potential worth of your practice. If you have completed any of the MPV Surveys you will already know how much effort MPV Consulting places into creating simple easy to use worksheets. 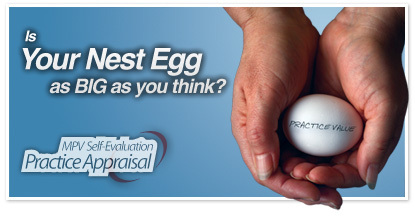 The MPV Self-Evaluation Practice Appraisal is no different! Asks 22 simple questions with multiple choice answers about the style and type of practice you operate. Supplies a simple financial worksheet that allows you to easily extract data from your end of year financial report or alternatively extract data from accurate in-house computer records. Requires you to answer 6 straightforward questions about proposed adjustments to financials. Once completed, the worksheets are returned to MPV Consulting where we perform the detailed analysis, raise queries as needed, and then return a comprehensive MPV Self-Evaluation Practice Appraisal document to you. Who should use a self-evaluation? Potential future practice owners/partners wishing to determine a reasonable value for a practice they are considering purchasing. Formal partnership agreements that use the MPV Self-Evaluation Practice Appraisal as the agreed terms for both entry and exit of the partnership. MPV Consulting deals with sensitive veterinary practice information on a regular basis. 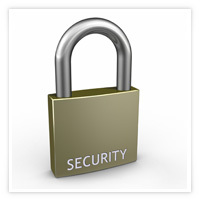 We understand the need for privacy and take pride in dealing with all information in a confidential manner at all times. 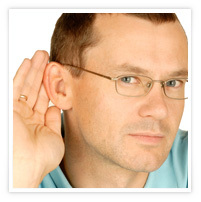 You specify the name of ‘confidential contact’ and we deal ONLY with this person or persons. What about a potential purchaser? It is not unusual that a practice seller will supply a formal appraisal document to the potential purchaser of their business. A potential purchaser may also wish to get an independent view of the practice that they are considering purchasing. MPV Self-Evaluation Practice Appraisal is the ideal opportunity for a potential purchaser to determine their own value of a practice without the costs of a third party arbitrator. MPV Consulting is aware that your MPV Self-Evaluation Practice Appraisal document may potentially be presented to a third party as part of a sales negotiation. As a result the quality of the documentation is of an exceptionally high standard in both presentation and content. Our wide-ranging experience of the veterinary industry collected over 19 years of dealing with veterinary practices. Our knowledge gained through dealing with over 800 veterinary practices in Australia. Our exclusive access to comprehensive industry benchmark data collected in the popular MPV Consulting business benchmark surveys. Our unique system of calculating an unbiased business multiple for your appraisal based on factual statistical data rather than “the opinion” of a third party. Our analysis of your practice financial data and detailed comparisons to industry standards. 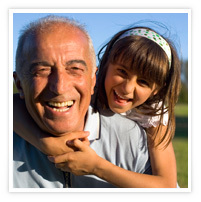 Our easy to use worksheets to be completed by either you or your accountant. Situations of irresolvable conflict that require fully independent arbitration. MPV Consulting gives a guarantee to all participants using MPV Self-Evaluation Practice Appraisals that the final appraisal will be completed and placed on Express Post back to you within 10 working days. If we cannot fulfill this promise then your MPV Self-Evaluation Practice Appraisal will be done for FREE! The 10 working day guarantee is initiated upon receipt by MPV Consulting of both your fully completed worksheets and your satisfactory response to queries that we may raise regarding the appraisal. 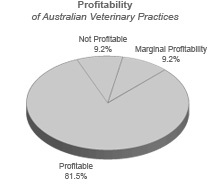 In Australia 9.1% of veterinary practices are operating at a loss after the owners have taken out what is considered to be a reasonable market salary for their time. In addition to this a further 9.1% of practices are operating at a profitability level of less than 5% which is considered to be ‘marginal’. These factors severely affect the value of a practice when the owner is planning to sell.